Natchez, Mississippi embodies the essence of what a dream destination ought to be to celebrate your special occasion or enjoy a memorable experience. Natchez has a wonderful mixture of so many special characteristics that contribute to making your memories magical. It might be the historic antebellum homes, many remarkable locations, the history, culture and character of a time gone by, or the locals who go out of their way to make you feel like family. Many of our Association Member B&Bs or Tourism Partners listed here offer unique venues to make your Natchez occasion or experience on the Mississippi River a one-of-a-kind memory. Thousands of travelers come here each year for a wedding or elopement to begin their new life together or to celebrate a life event such as anniversaries and birthdays, to gather for family reunions, business retreats, special luncheons or dinners, to enjoy new experiences, or just to relax on a getaway from life’s routines. Rest assured, Natchez has everything you need to plan your occasion or experience. From small events in our magical parks and gardens to large outdoor or indoor events in historic antebellum mansions, Natchez provides everything needed to make your Natchez Mississippi memories last a lifetime. So, what are you waiting for? Start planning your Southern dream getaway today. 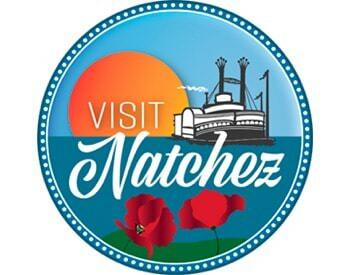 Check out Natchez Wedding or other Event resources by clicking here. Best View of the Mississippi River! Southern Breakfasts Cooked to Order by our Chef! Front Door was known to be replicated for the front door of Tara in "Gone With The Wind"
Great Adventures in the Miss-Lou© is dedicated to providing high-quality, diverse, fun, and challenging experiences and adventures. 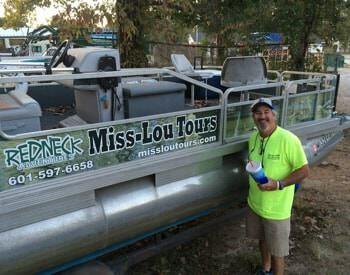 Great Adventures in the Miss-Lou is operated by Miss-Lou Tours Inc. and is affiliated with Redneck Adventures Television Show. We can customize your adventure to give you the best and most rewarding experience. Most tours include knowledgeable local guides and speakers. Tours/experiences may be combined in a multi-day visit. 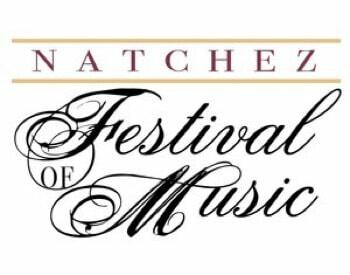 The Natchez Festival of Music is a primary sponsor of live music, theater and world-class performers serving the Miss-Lou region of southwest Mississippi and eastern Louisiana with year-round events leading up to the annual Festival Season in May of each year. It produces and features operas, operettas, Broadway musicals, jazz, recitals, and special concerts. Home to the Festival is the Margaret Martin Performing Arts Center. Events are also held at local Natchez venues such as the Natchez Apollo Theater, the grand mansions and stately churches of the region, in addition to other local historical sites. Located inside the Natchez Visitors Center on Canal Street, Visit Natchez can provide you with Mississippi tourism information and the history of Natchez and its surrounding areas. If you’re planning a convention or corporate retreat and need a site that combines excellent pricing with a state-of-the-art convention center, spacious meeting venues, and services, we will personally show you how Natchez can meet your needs.